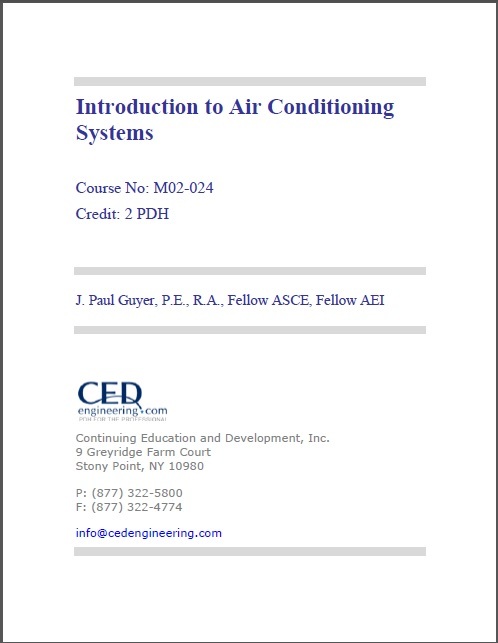 This is an introduction to air conditioning systems (frequently referred to as HVAC systems – heating, ventilating and air conditioning systems). It is intended for those engineers, architects and construction professionals who are only peripherally involved with HVAC systems in their professional activities, but would like to learn more about HVAC concepts, principles, systems and equipment. It is not a design manual, but will give design and construction professionals a step forward in understanding this area of building technology. Design information presented here is presented in a “manual” form, that is, calculations are presented as if calculated manually, although, of course, this is done in most cases in practice by computer programs. 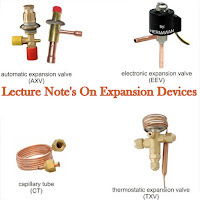 This manual presentation will give a better understanding of the underlying principles rather than just leaving the matter of load calculations as a simple data input exercise. "J. Paul Guyer, P.E., R.A." Paul Guyer is a registered Mechanical Engineer, Civil Engineer, Fire Protection Engineer and Architect with over 35 years experience in the design of buildings and related infrastructure. For an additional 9 years he was a principal staff advisor to the California Legislature on infrastructure and capital outlay issues. He is a graduate of Stanford University, and has held numerous national, state and local positions with the American Society of Civil Engineers and National Society of Professional Engineers.